NASHVILLE, Tenn – June 30, 2016 – Metro Parks and Recreation hosted a community meeting at Hartman Park Community Center to engage residents about the Plan To Play initiative. Plan To Play will develop a countywide parks and greenways strategic plan, which will serve as a guide for future investments in and growth of the park system in the coming decades. Several North Nashville community leaders attended the meeting, including District 2 Councilman DeCosta Hastings. 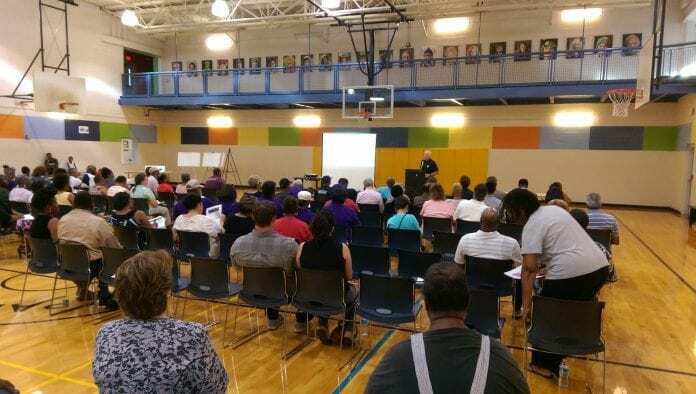 Prior to the presentation, Councilman Hastings addressed the crowd, urging them to use the meeting as an opportunity to influence change and improvement in their own community. The public meeting provided an opportunity for residents to learn about the current park system and what it has to offer, but also to provide input about how they would like to see their park system grow in the next 10 years. More than 100 residents attended and participated in the discussion. It was obvious they were invested in the process and wanted to play an active role in shaping how the plan affects their community. The yearlong Plan To Play process includes an inventory of past and current plans, an analysis of programs and facility offerings, a benchmarking of peer cities, and an intensive public input process. 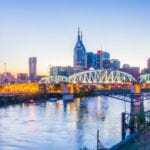 For more information on Plan To Play and to stay updated on the process, visit plantoplay.nashville.gov, where you can share your opinions through the online survey and sign up for Plan To Play updates.